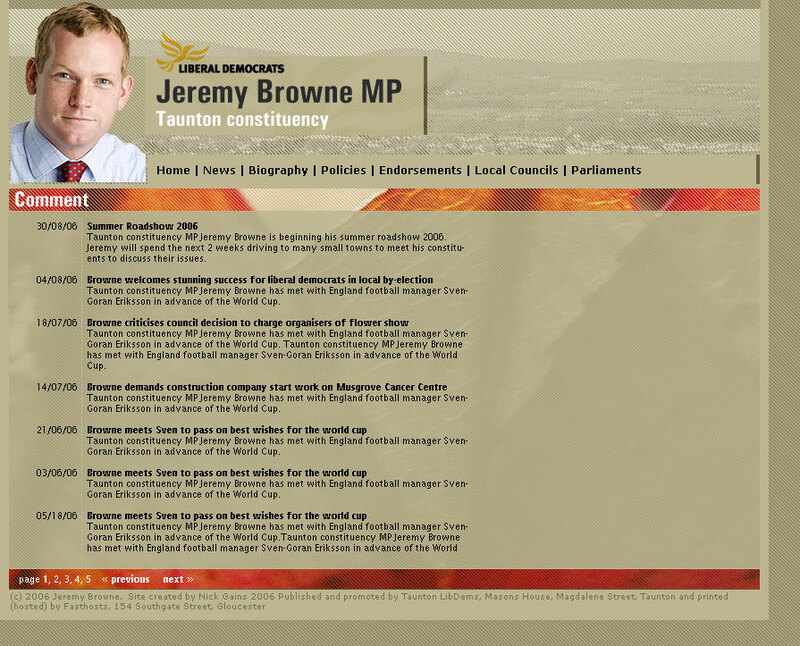 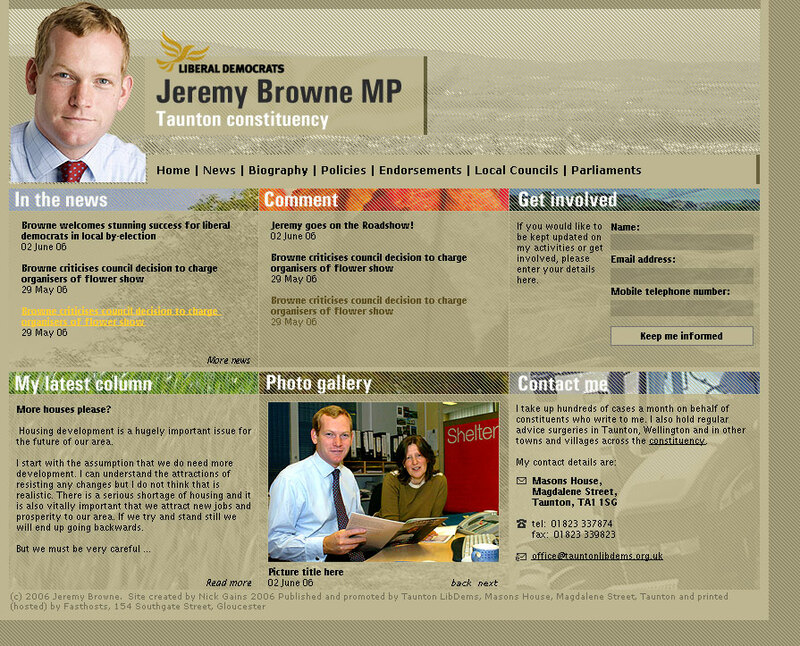 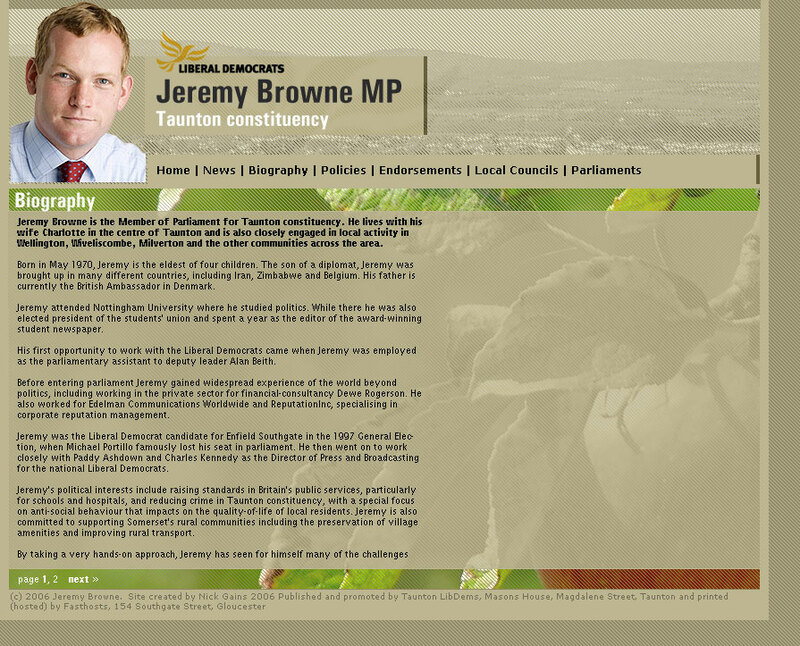 In 2006, I was approached by Jeremy Browne MP for Taunton, who wished to replace his existing website with something new. 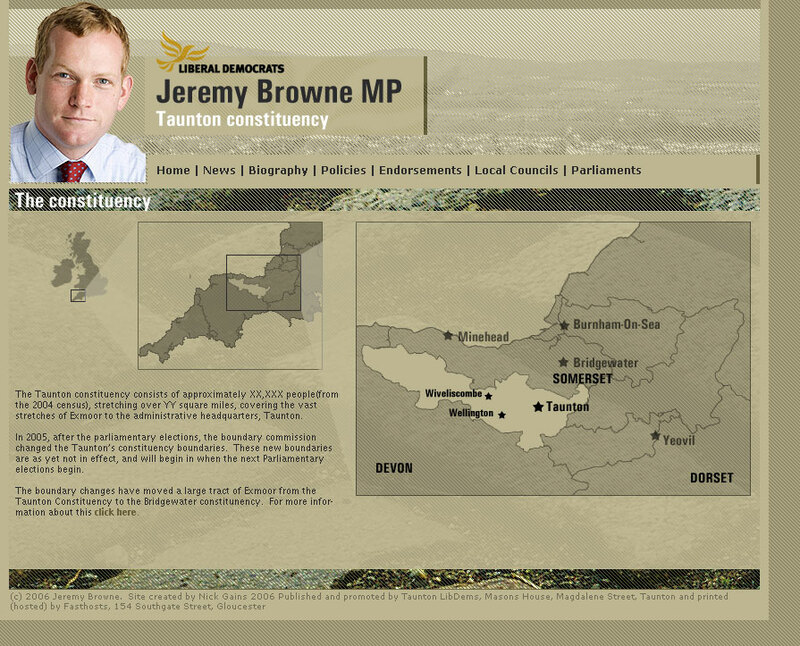 He had just recently won the Taunton Deane by-election and wanted a smart looking site that reflected both him and the Taunton and Somerset area. 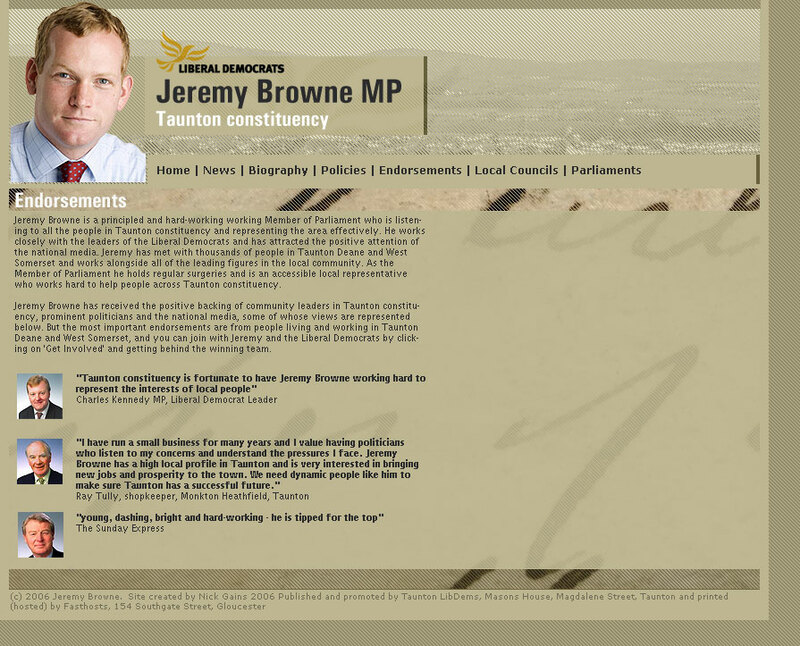 We went through several design phases over several weeks until I produced a design that he liked. 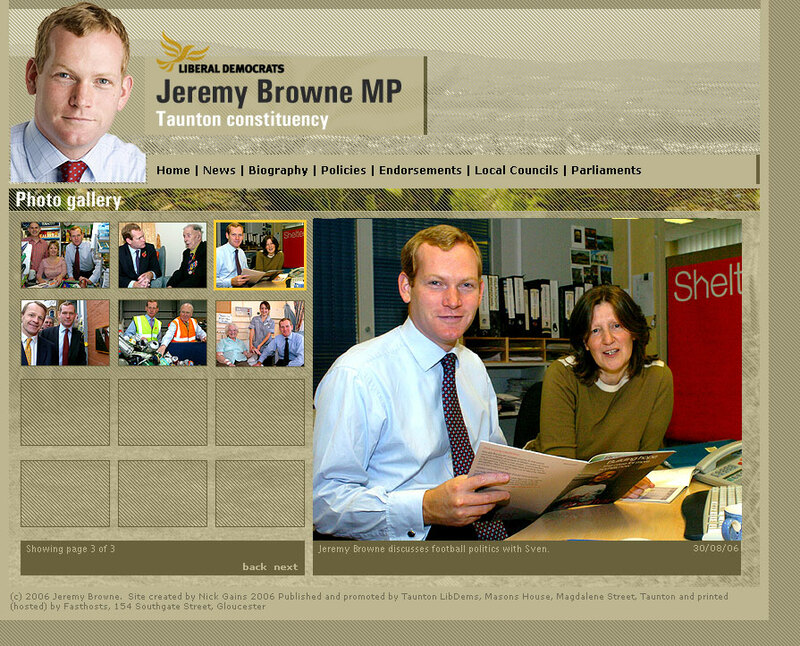 I built the website atop a custom built backend and CMS in PHP. 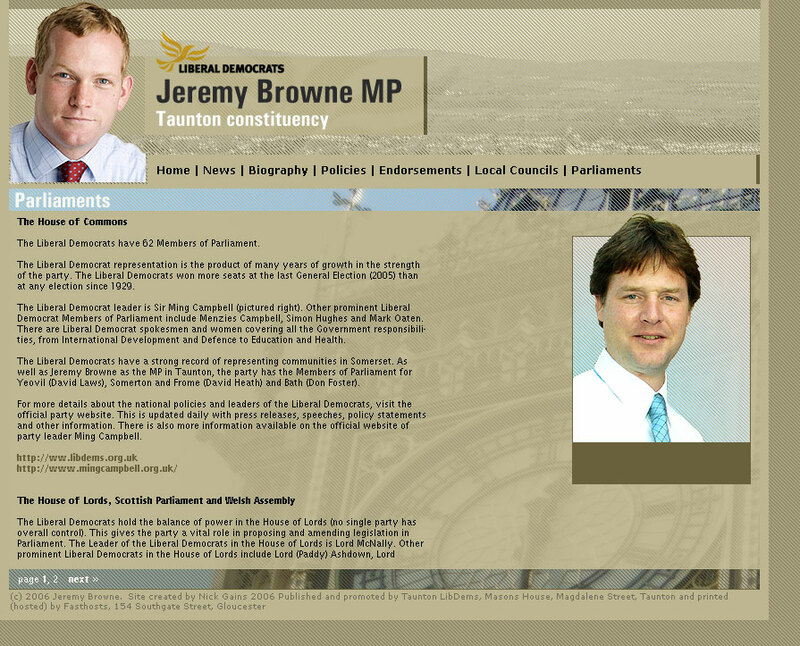 The website was nominated as a finalist in the 2008 British Computer Society MP Website Awards.